In the midst of northern Johannesburg lies this charming country style guest house. Rivonia Bed and Breakfast is situated in Sandton in a safe and quiet cul-de-sac, providing guests a tranquil setting where they can break away from city life. Rivonia Bed and Breakfast offers attractive, well equipped rooms. The large garden, sparkling pool and abundant bird life provides for an unforgettable stay. 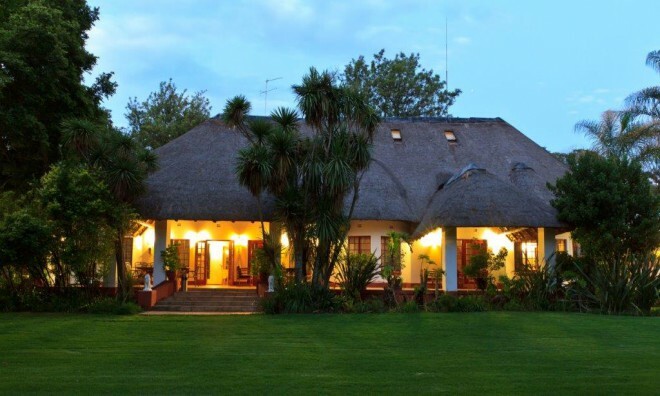 Rivonia Bed and Breakfast, winner of the 2009 and 2010 AA Accommodation Awards, really deserves the title “home away from home”. They cater for every need, from business people, leisure travelers, wedding groups and out-of-town shoppers. 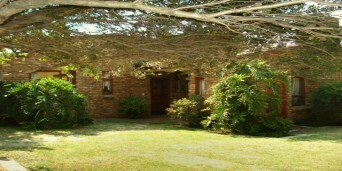 Rivonia Bed and Breakfast will offer all guests easy access to all major highways. They are also within close proximity of Sandton City, the Sandton Convention Centre, Gallagher Estate, Montecasino and Sunninghill and Morningside Clinics. Guests are pleasantly surprised time and again as they could not believe one can be so relaxed, but still be within walking distance of the Rivonia shopping centre, coffee shops, major banks, numerous restaurants and an upmarket gym. Rivonia Bed and Breakfast offers 40 en-suite units with coffee and tea making facilities, a microwave and bar fridge. They also offer three family units, for those travelling with children. 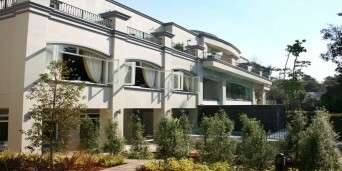 Other facilities at Rivonia Bed and Breakfast include secure parking, an Internet workstation, WiFi hotspots and DSTV. So if you’re looking for a little bit of country in town, this is the place to be! Come to the 'City of Gold' and get your Johannesburg accommodation with Discover South Africa and experience this bustling metropolis in all its wonders. Joburg became a settlement in 1886 when prospectors found gold in the Witwatersrand and over 1000 people flocked to get their piece of the pie. It is now the second largest city in Africa with more than 3 million people living and working in Joburg. So get some accommodation in Johannesburg if you like the buzz of a city but also like to be close to the bush. Joburg has more than 40 Art Galleries an array of theatres including The Globe Theatre, which opened in the 1890's, shopping centres, bars, clubs and many more exciting things to do and see. Joburg or Jozi as it is also known as, has 150 heritage sites and half are national monuments, visit the Apartheid Museum or any of the other museums to get a glimpse into the history of Johannesburg. If you are on a family holiday and you wish to stay in Johannesburg then the Johannesburg Zoo is the perfect outing, with so many animals to see, there is even a farmyard where kids can touch friendly farm animals. Another family outing is a visit to Gold Reef City Theme Park, not only does it have a wide variety of rides and games but it also gives you a taste of life in the turn of the century Joburg, how miners worked, lived and were entertained. It has museums, gold-pouring demonstrations, an underground mine tour and gold panning. If you have accommodation in Joburg, then it is well worth the trip to go to the Sterkfontein Caves in The Cradle of Humankind, which is only 1 hours drive away, this is where most of the world's human ancestor fossils have been found in one place. It is a great outing with a restaurant to fill hungry bellies after a tour of the magnificent caves. Whatever type of traveler you are there is something that will entertain you in Joburg. So get some accommodation, Johannesburg is waiting.